Poet Stephanie Lenox will expose the messy and usually invisible creative process by taking over the studio with flights of fancy as she works on a collection of lyric essays, The Queen of the Birds. 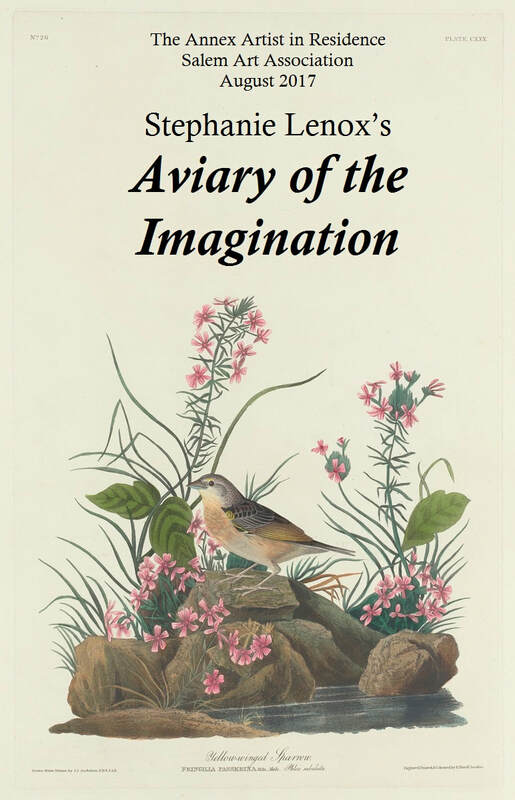 Her essays explore the make-believe world she inhabited as a child where she reigned as Queen of the Birds. By sharing her work-in-progress and inviting the public to share bits and pieces from their imagination, Stephanie aims to dispel the myth of the inspired writer composing in isolation. During this residency, Stephanie will question the boundary between reality and the world we invent for ourselves. How are we changed by what we believe? Where is the line between invention and truth? The public is invited to join her for open writing time Tuesdays through Fridays, 10-11 am, at the Annex.